Sono Motors co-founder Jona Christians pictured in a Sion in Munich. Production will start in the second half of 2019 and the company has more than 6,500 orders which it aims to start selling at 16,000 euros ($18,540) next year. 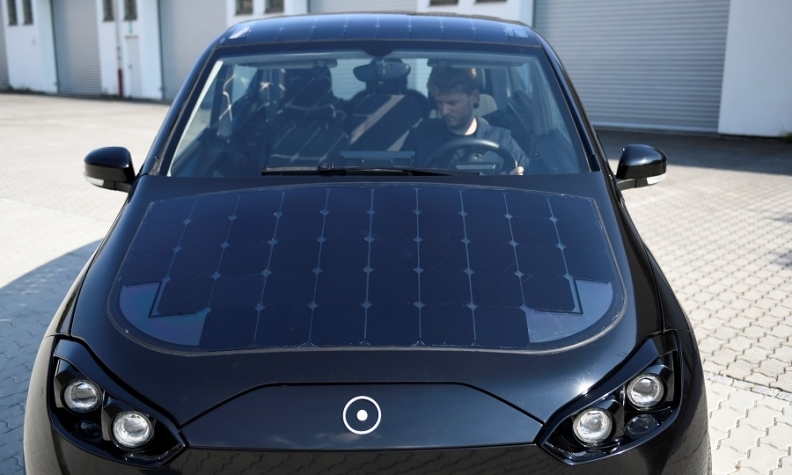 Sion will have 330 solar cells attached to the vehicle's roof, hood and sides and its battery system will offer a range of around 250 km (155 miles) before it needs recharging.